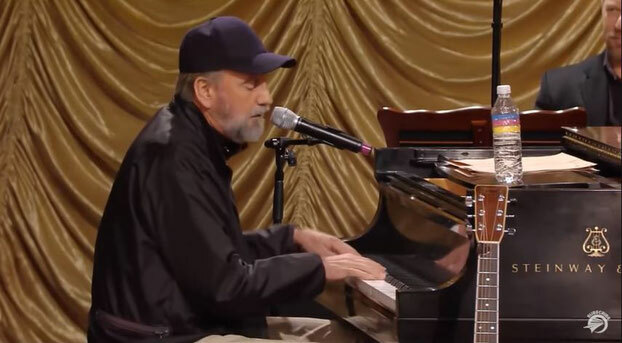 Ray Stevens performs "Everything is Beautiful"
"Everything Is Beautiful" is a song written, composed, and performed by Ray Stevens. It has appeared on many of Stevens' albums, including one named after the song, and has become a pop standard and common in religious performances. The children heard singing the chorus of the song, using the hymn, "Jesus Loves the Little Children", are from the Oak Hill Elementary School in Nashville, Tennessee. This group includes Stevens' two daughters. The song was responsible for two wins at the Grammy Awards of 1971: Grammy Award for Best Male Pop Vocal Performance for Ray Stevens and Grammy Award for Best Inspirational Performance for Jake Hess. Stevens' recording was the Number 1 song on the Billboard Hot 100 for two weeks in the summer of 1970. The song also spent three weeks atop the adult contemporary chart.Many country stations played the song, with it peaking at number 39 on Billboard's chart.Billboard ranked the record as the No. 12 song of 1970. The song includes anti-racist and pro-tolerance lyrics such as "We shouldn't care 'bout the length of his hair/Or the color of his skin." 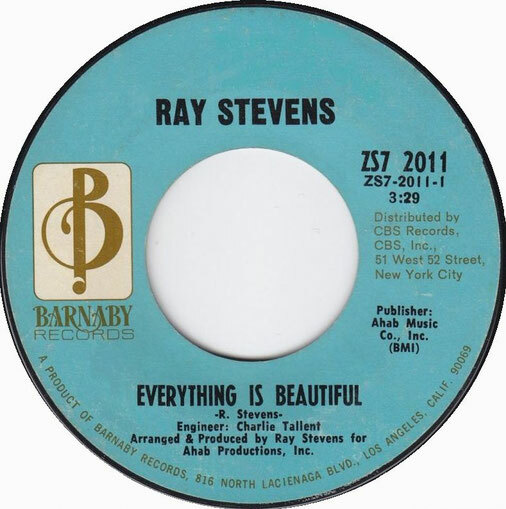 This song was a major departure for Stevens, as "Everything Is Beautiful" is a more serious and spiritual tune, unlike some of his earlier ("Gitarzan" and "Ahab the Arab") and later ("The Streak") recordings, which were comedy/novelty songs.